The ideal project for beginners! 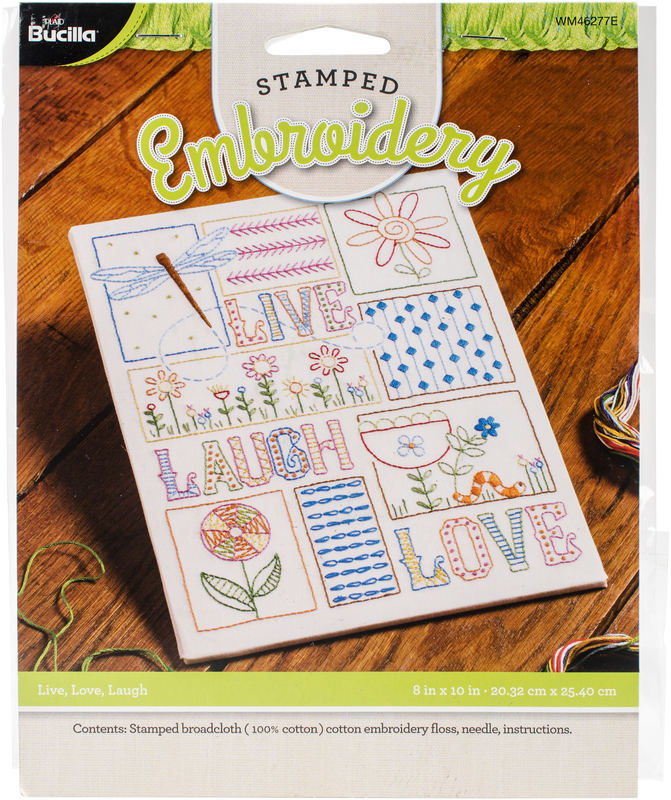 This package contains stamped broadcloth (100% cotton), cotton embroidery floss, needle and instructions. Finished size: 8x10 inches. Design: Live, Love, Laugh. Imported.